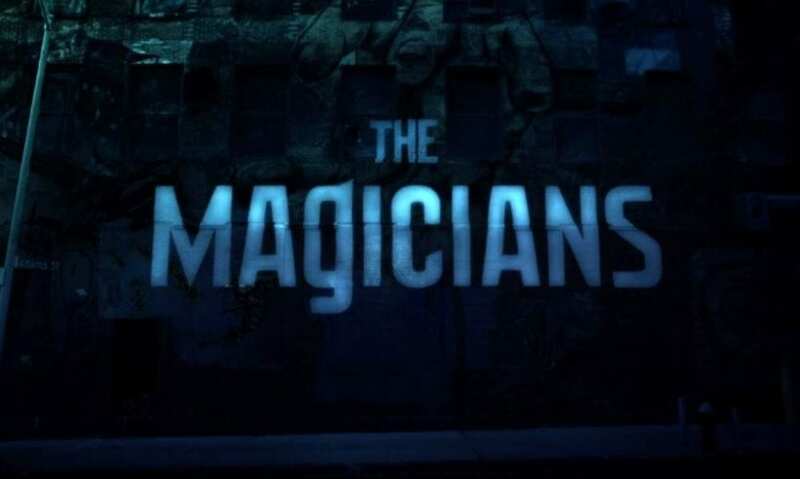 This week’s episode of the Magicians gives us split personalities, a literal punch to the face, a cryptic flashback, and yes…tears. In a surprising turn of events, we have, what may be for the first time, a team up with Kady (Jade Tailor) and Alice (Olivia Taylor Dudley). I know, I’m shocked too, but don’t worry, Kady punches her in the face before they get on with the niceties. You see, some ne’er-do-well known as “The Serpent” has been planting blood worms into hedge witches, which kills them the moment they perform a spell. This, obviously, has put Kady on edge, but the Library as well. Cue an even weirder team up Dean Fog (Rick Worthy), Zelda (Mageina Tova), Kady, and Alice. With Harriet stuck inside the mirror realm, Zelda poses as the perfect mole within the Library, and Zelda agrees to play her part if Alice gets her daughter out. Using her light magic specialty, Alice sets up a prism that will hopefully allow the different splinters of Harriet to leave the mirror realm and come back together. After getting the first splinter out, however, things go wrong. The prism splinters, causing Alice herself to splinter into halves, the timid version of herself, and the self-righteous one. The two parts of Alice end up in the mirror realm together, where they decide to work together, but before they leave they find a binder. Curious if it is the binder the dragon told Julia about, they decide to take it. Together, they then fix the prism and get Harriet fully back together. While waiting for Alice, Kady and Zelda have a heart to heart. Apparently, Zelda was raised by hedges just as Kady was. Zelda puts her faith in Kady to do what’s right because she knows that Kady must have a good heart. When Harriet and Alice emerge, Harriet reveals to Zelda that the librarian Everett is behind The Serpent, not a hedge witch. Back in the New York City apartment, Penny (Arjun Gupta), Quentin (Jason Ralph), and Julia (Stella Maeve) are working through two tasks. First, they are trying to find the binder the dragon spoke of (spoiler: see above re Alice), and second, they are trying to find the God of War Enyalius to retrieve the final piece of The Monster’s body. Yep, you read that right, only one piece left! Meanwhile, The Monster (Hale Appleman) has decided that he needs a psychic to learn about his past. When he ends up killing those of weak mind, Penny volunteers to help him. Not before securing a date with Julia though. Penny psychically brings The Monster to a place of significance to him, a field with a stone altar and the stones that contain his body. He sees those who killed him, and a girl half-dead – sacrificed in order to bring Enyalius. The Monster feels for the girl but isn’t sure why. When a door appears in the field, Penny leaves The Monster behind and goes through it. And guess who he finds…ELIOT! Turns out, Eliot has been snooping all around The Monster’s brain and learned quite a bit about him. More than The Monster even remembers about himself. When Penny wakes from the trance, after a quick seizure, of course, he relays the message to Q and Julia. Turns out the stones aren’t The Monster’s body, they’re…CLIFFHANGER. Sorry, no answers to that question this week. But we do tie up some loose ends in Fillory! Namely, the animals are speaking again, so the kingdom and more importantly High King Margo (Summer Bishil) finally learns that Eliot isn’t dead. Those expressive eyes when she finds out though. Naturally, she then bangs Josh (Trevor Einhorn) immediately after. Margo and Josh’s pillow talk results in some very important news to Margo. Apparently, the Foremost – a leader of land to the south of Fillory, is in possession of ice axes. These ice axes have the ability to defeat demons who possess bodies. Naturally, Margo must get them. But first, there is a dinner to attend. At the dinner, a queen of a different land approaches Fen (Brittany Curran), and explains they have the same destiny. She says that she will forge an alliance with Fillory, but only if Fen is on the thrown. Naturally, Josh overhears this conversation and relays it to Margo. The news of Fen’s betrayal hits Margo, but she is more concerned about the ice axes. Only, Pick explains that the Foremost and his people are enemies of Fillory and that they would never allow the High King access to them. Folks, we’ve been waiting for this moment all season. I truly thought it would happen when Margo found out that Eliot was alive, but no. It happens when she realizes that she has to give her thrown up in order to save her best friend. Margo cries. They’re tasteful tears, but heart-wrenching all the same. High King Fen banishes the crying Margo and has her branded. Knowing she still has a part to play, Margo calls her out but also requests that the people of Fillory listen to Fen and be nice to her. After all, they’re friends! On her way out of Fillory, Josh stops Margo and gives her provisions: food, a map, and an iPod. And a promise that yes, they will bang again. A lot of important things happened in this episode. Zelda has firmly moved towards the side of #TeamQuesters, and her eyes have been opened to the wrongdoings in the library. We learned a bit more about The Monster’s past and saw Eliot again! The biggest shake-up, however, was in Fillory. From this point on, Fillory has a new High King, and for once it’s an actual Fillorian. Though sometimes played as the innocent Hufflepuff, Fen actually knows what her people want and need and has both the intellect and compassion to be a great leader. She made have wooden toes, but Fen becoming Fillory’s leader is actually a great thing. As difficult as it is for HBIC Margo to not actually be in charge of anything anymore, this banishment may be the start of a new chapter for her. Fellow readers of the book series know all about the ice axes that Margo is searching for, even if the show is going in a different direction for their usage. We’re about to see a side of Margo that has only before been seen on the Welters pitch. But also, next week Margo licks a lizard, gets high, and hallucinates. Meaning, next week is the musical episode. F**** yeah!